I was privileged tonight to attend the 50th birthday of an Elder-Statesperson (if that is the right description) of worship in our city, Stephanie Truscott. Ling and I must have known Stephanie for nearly 10 years, having first seen her from afar leading worship at big Christian gatherings like Church Together and then getting to minister with her in her gospel ensemble “Garments of Praise”. We used to do gigs in prisons, hospitals and churches together. 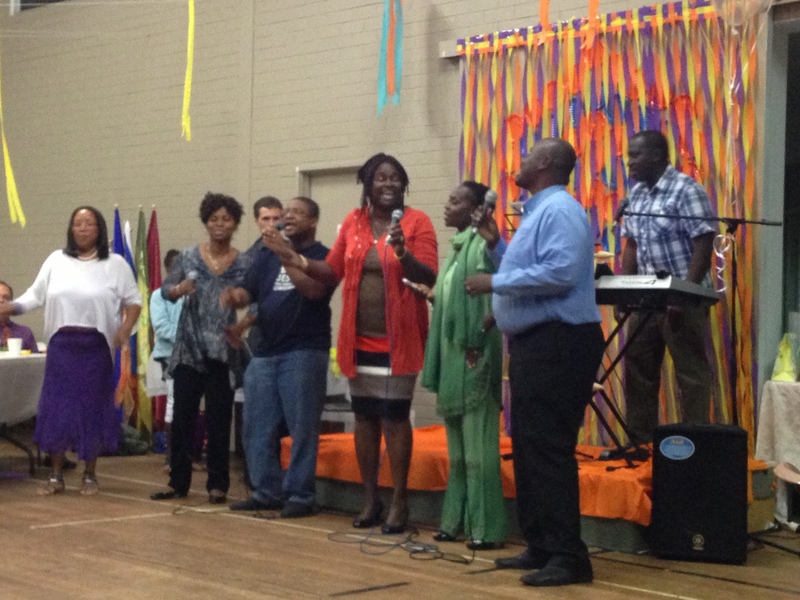 We had even taken gospel-style worship to Telethon fundraising days and university muliticultural fairs – truly beyond the walls of the church. I am the first to admit that I didn’t (and still don’t) have an awesome voice, but yet Stephanie included me in her group and coached me to become a better singer. I remember glorious times of worshipping together in her lounge room as we prepared for gigs and we would just move into spontaneous worship. Tonight, many old friends gathered to celebrate this woman of God’s milestone birthday. 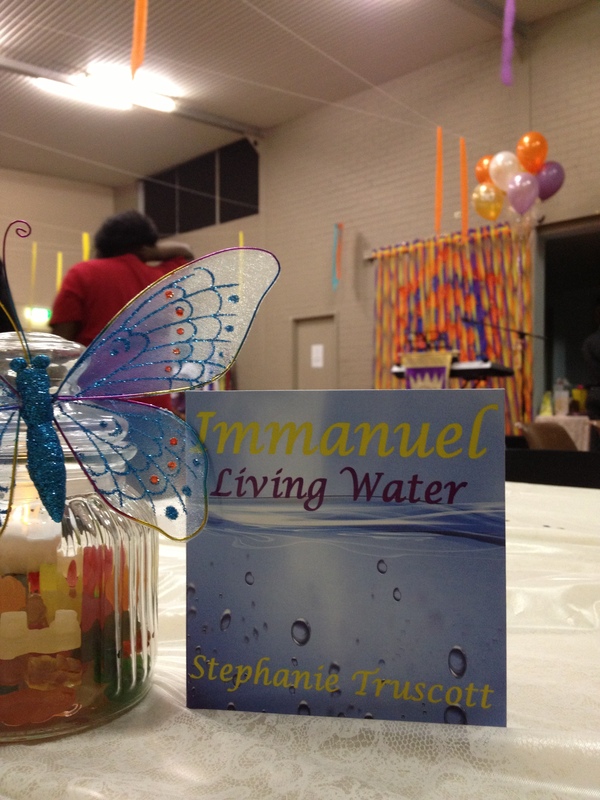 And true to form, Stephanie launched a new CD (a mix of gospel and Messianic sounds) and gave free copies away to all who came. As the night went on, group after group of worshippers came up to the stage to “perform”: a parade of worship tributes, if you like. And I remember ministering together with many of these worshippers in the past. What really struck me was how it must have been so much like worship in heaven. There was no sophisticated sound system, stage lighting or glitz. Just a keyboard and mics and passionate hearts singing together and glorifying God. And what made it even more like heaven was the fact that there were so many of us from so many different ethnic backgrounds who had been in one way or another impacted my Stephanie’s ministry. We saw Justina Truscott spontaneously mime-dancing to a new song from Stephanie’s album. Ling and I were blown-away by Justina’s artful, prophetic movements. And another young indigenous man from Kalgoorlie who was taught to sing gospel by Stephanie at a young age and now at the age of 23, ministers in a family gospel ensemble. He also made the auditions for X-Factor. And another young indigenous lady who sings just like Stephanie. I thought about how through Stephanie’s mentoring, the lives of young indigenous people were being transformed through the power of worship. And then there were the powerful harmonies of an African group. 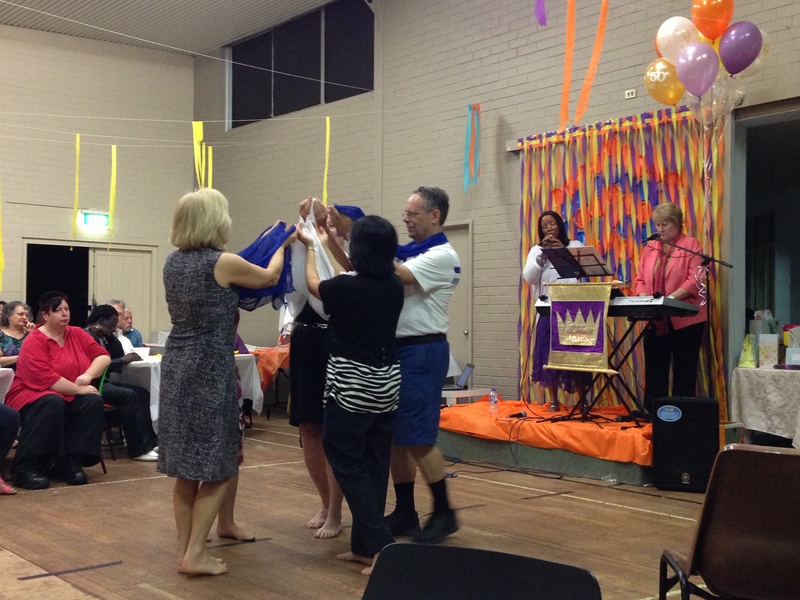 And Kathy Susnjar with whom I also used to sing, leading us in Messianic worship with dancers from the Perth Messianic congregation. Ling and I (we were the Asian contingent!) even got roped into doing a worship song with Stephanie without any forewarning, let alone rehearsal. As I watched each group come up to the front to lead us, I realised just how far-reaching Stephanie’s ministry and impact was. 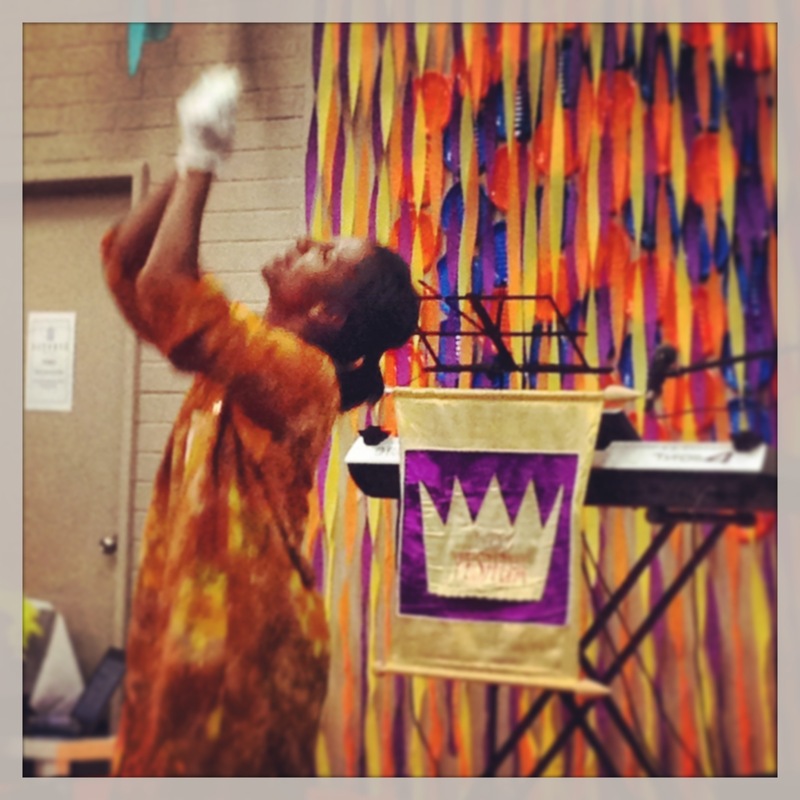 How she had bridged the gap between the Indigenous, Africans, Asians, caucasians and Messianic worshippers in our city. This is how worship should be like: every tongue, tribe and tongue gathered before the throne. Thanks Stephanie for inspiring us, teaching us and leading us; for forging the way for the next generation of worshippers in this city; and continuing to always break new ground (even though you say you are old school!). Happy Jubilee year! Hi There, My name is Juliet Fynn, a long time friend to Stephanie. I was at Stephanie’s Birthday the day she released that album. I have lost her phone number and am trying to reach her. Hi Juliet. I will check with Stephanie to see if she is happy for me to release her number. Otherwise are you happy for me to provide your number to her and she can get in contact with you?